Its our second year by gad! That means that its time for the first free monthly miniature of the second year so lets have something a little bit to the side of the Prydian Army to get us into the swing of it. The Alouten. The IMP13 Alouten Veteran September 2014's free miniature which is automatically put into every order at the rate of one per order of any value. It can also be bought in any amount too on the monthly IMP page of the website. Wearing MkV Alwite armour and carrying a Carnwennan Pistol the veteran is minus his helmet and stands some 16mm tall in one piece. A real character. This miniature is a fine addition to any 15mm science fiction collection for any game system. 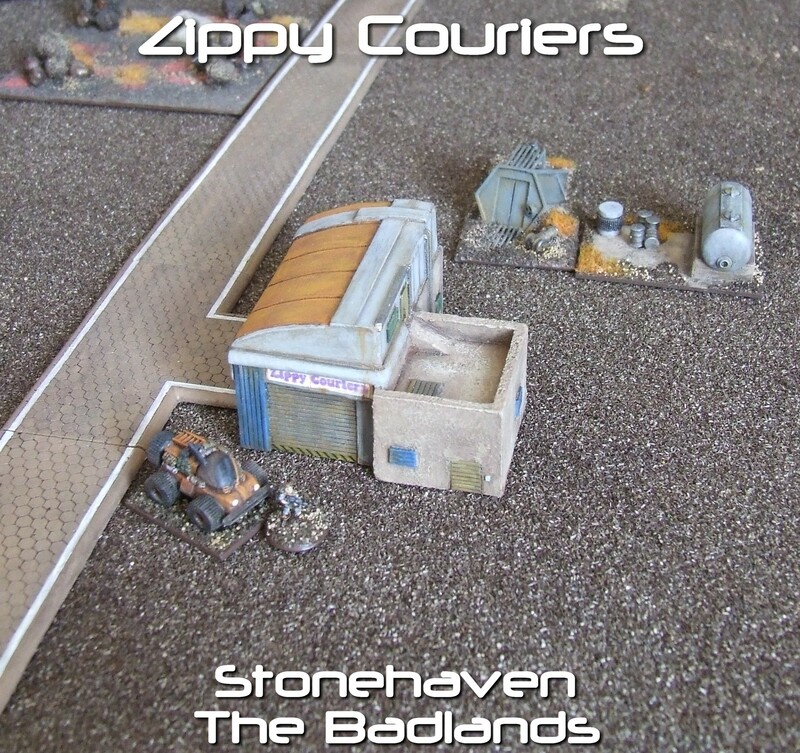 Zippy Couriers was the first 'hybrid' building in Stonehaven. Most are either of stone construction or scrap metal. Zippy Couriers started as a simple stone structure, but as business grew, Scooter (the owner) needed to expand. He wanted Zippy Couriers to stand out, so he expanded upwards! Using scrap from the Marco Polo, a crashed commercial space vessel, he made Zippy Couriers the magnificent business it is today. 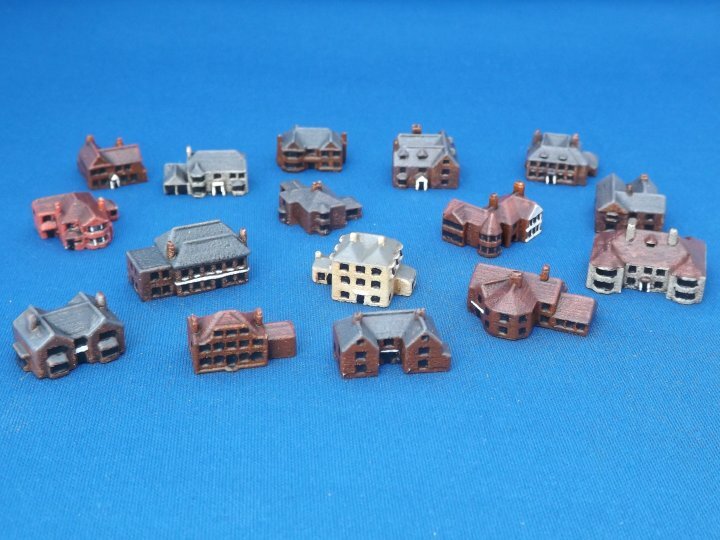 This week's release is another set of buildings in our Small Scale Scenery range. It's a set of sixteen larger individual houses, usable as country houses, rectories, larger town houses, even inns or small hotels. Combined with our existing building sets, it's now possible to put together a decent sized town using our models. The Retreat from Moscow Poles that have been cast and are now available. They have been designed to be used in Retreat from Moscow skirmish games (yes, they are Perry compatible), but can be used for Spain, Poland in 1807, as well as giving even more diversity to your Polish armies.